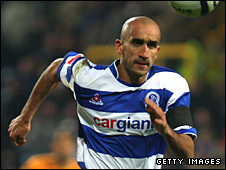 Blackpool have completed the signings of striker Daniel Nardiello and defender Zesh Rehman from QPR. Nardiello, 25, has penned a two-year contract while Rehman, also 25, has joined on loan for six months. And Latvian defender Kaspars Gorkss, who had a £250,000 buy-out clause in his contract, has formally completed his move to Loftus Road. The deal sees Pool withdraw their complaint against Rangers for an alleged illegal approach to Gorkss. Club secretary Matt Williams told BBC Radio Lancashire that Blackpool are hopeful of signing more players. Williams said: We've got an offer accepted for a player who's agree personal terms, it's just a case of tidying up the paper work on that. "There are a couple of other bits and pieces so it's a busy time. "Hopefully we'll have another one in before Saturday's game against Tranmere and we're working hard on another deal. "We met the player yesterday and discussed personal terms and we're hopeful of hearing from him early next week or sooner."